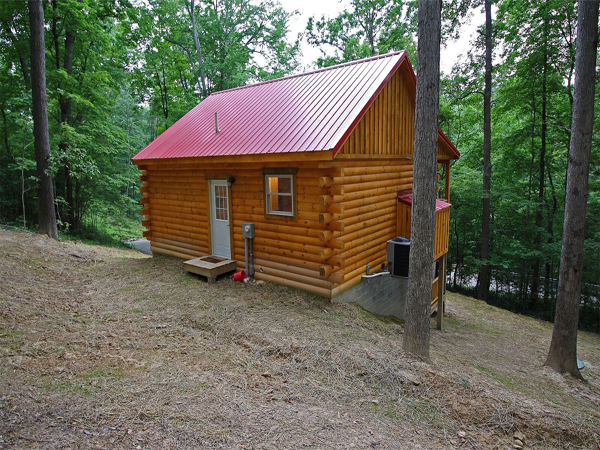 Little Pine Cabin is conveniently located about 10 minutes to Old Man's Cave Visitor Center and Conkles Hollow. If you are searching for a Hocking Hills cabin that sleeps 6, you can't beat this brand-new adorable cabin that seems to say, “Welcome home!” Kids of all ages will enjoy the lower level with the 60-game arcade cocktail table, flat screen TV with DIRECTV, and 3 private bedrooms with log queen and bunk beds. On the deck just outside your door, you'll enjoy relaxing in the covered hot tub. Upstairs features a log king bed in the master suite, a well-equipped kitchen with stainless steel appliances and granite counter tops, and a deck with a charcoal grill. Eat your homemade meals inside or outside at tables that seat 6. Enjoy the fresh air and your favorite beverage in the two wooden rocking chairs on the upper deck. A full bath is located on both floors for your convenience. Maximum occupancy of 6 guests. A $250 refundable security deposit is required in addition to rental rate. Minimum 2-night stay requirement applies. Some holidays may require 3 nights. Weekday, weekend, and weekly rates are available. AAA and active military discounts are available during peak season. 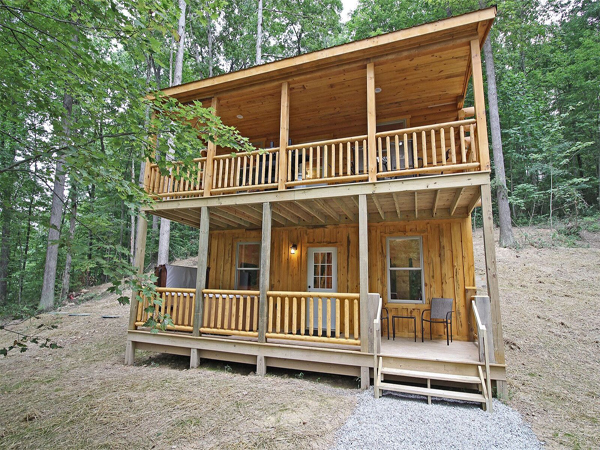 We are confident you will enjoy your Premier experience at Little Pine Cabin. Your search for perfect Hocking Hills cabins is complete. Don't delay as reservations fill up fast. Book your Hocking Hills Premier stay today!